The Philadelphia Orchestra, one of the preeminent orchestras in the world, returns to its beloved summer home at Saratoga Performing Arts Center tonight, Wednesday, August 2nd at 8pm, to kick off three whole weeks of exhilarating, diverse performances with a bunch of great, family friendly performances you won't want to miss. The season, August 2 – 19, encompasses wide-ranging classical and contemporary repertoire, world renowned musicians and conductors, family-oriented multi-media offerings and an opera evening. 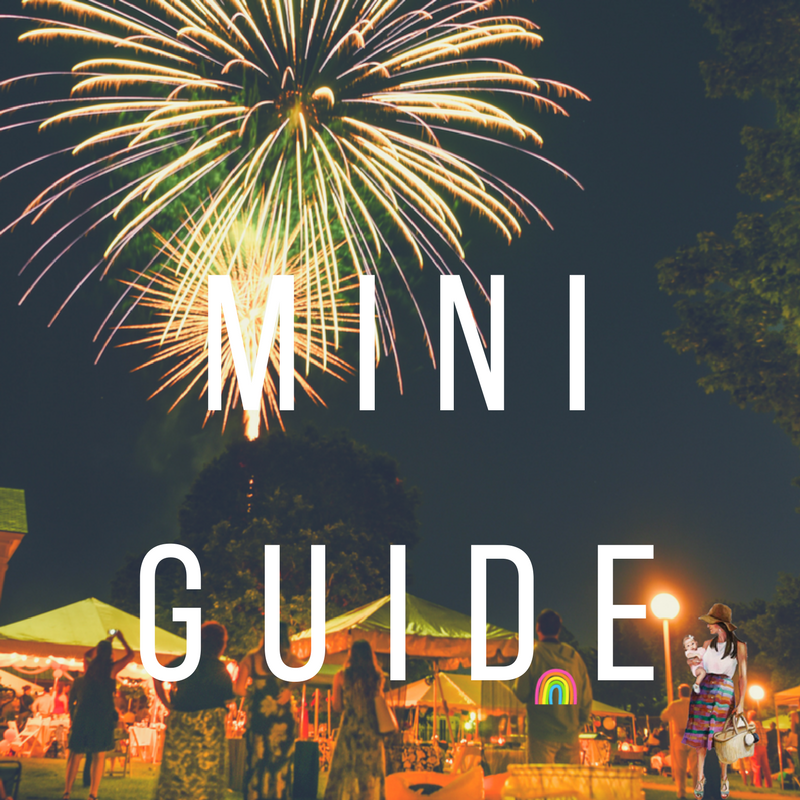 In today's Mini Guide we'll give you the scoop on the must see family friendly performances and family nights and some tips and tricks on how to do SPAC with the kids. The grand finale of the Russian Festival will be a spectacular bravura of physical exertion – a Russian-themed Cirque de la Symphonie performance. Russian musical history, ranging from the grandiose emotional expression of the “Big Five” Russian romantics in St. Petersburg to the 20th-century masters Stravinsky and Shostakovich, will be embodied in the choreography of exceptional aerial flyers, acrobats, contortionists, dancers, jugglers, balancers, and strongmen from around the world. Performance on the Charles R. Wood Gazebo Stage. The CDPHP Family Night Series (Fridays August 4, 11, 18) Join in for a night of world class entertainment for the whole family! Experience strolling magicians, FREE Stewart's ice cream, free balloon animals, chalk contests, family games and more! Featuring photobooths by Saratoga Photobooth Company, open every Friday! AND the Albany Medical Center Childrens Workshop on the Lawn (Fridays August 4, 11, 18) The Philadelphia Orchestra principal musicians lead these engaging and interactive workshops on the lawn at 7pm on Family Nights. Steven Spielberg’s cinematic masterpiece E.T. The Extra–Terrestrial will be shown on four HD screens and accompanied by a live performance of John Williams’s Academy Award®-winning score. One of the brightest stars in motion picture history, E.T. The Extra-Terrestrial follows the moving story of a lost alien who befriends a 10-year-old boy. The film that gave the world one of its greatest movie heroes, Indiana Jones, will make its SPAC debut as John Williams’s epic score is performed live. Set in 1936, a professor of archeology and “obtainer of rare antiquities” Indiana Jones (Harrison Ford) is tasked by U.S. Army Intelligence to recover the legendary Ark of the Covenant before it falls into the hands of the Nazis. Armed with his hat, whip and wits, Jones must face formidable enemies – and impossible odds – to save the day and the world. First and foremost, bring a picnic blanket (like the Little Unicorn outdoor blanket that is water resistant, we got ours at The Bundle Store). Folding chairs are great too, and you can pick your spot on the lawn and set up your little camp. We also usually bring along some blankets and favorite stuffed animal friends and of course SNACKS! The concessions are open, so snacks aren't totally necessary, but let's face it, snacks are always necessary with small children. People like to get creative on the lawn at SPAC, I've seen cheeseboards and full on dinner spreads, takeout containers and desserts. Bring something to nosh on and something to drink, put a little bug spray on the kids (honestly though it doesn't get too buggy) and snuggle in to watch the show. There are HUUUUUUGE screens that you can watch on so anywhere on the lawn feels like a great spot. Okay finally, get your tickets!